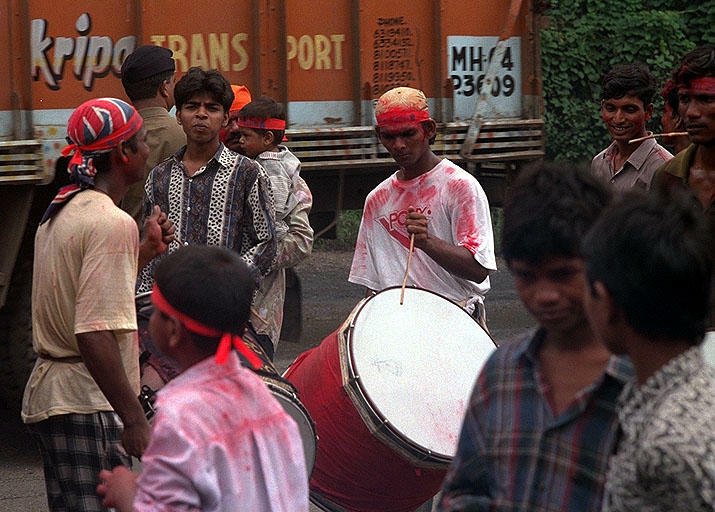 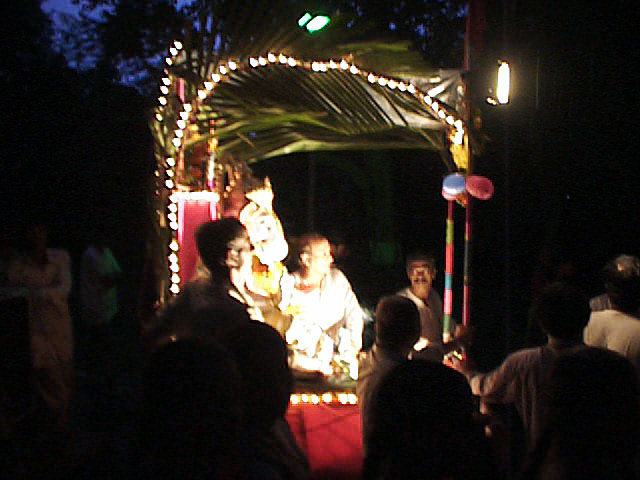 Ganesh procession on a Powai street. 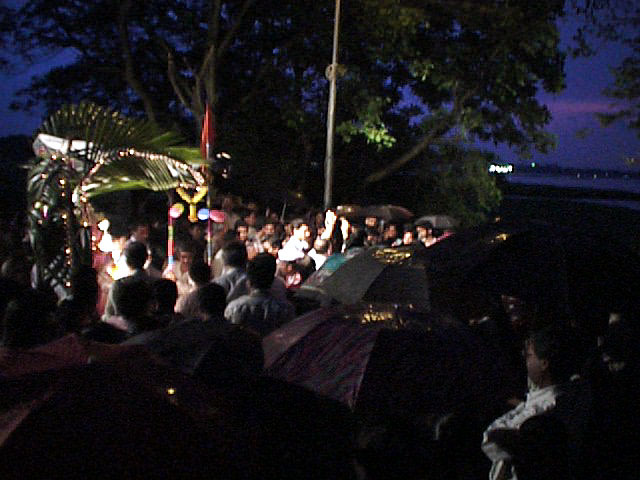 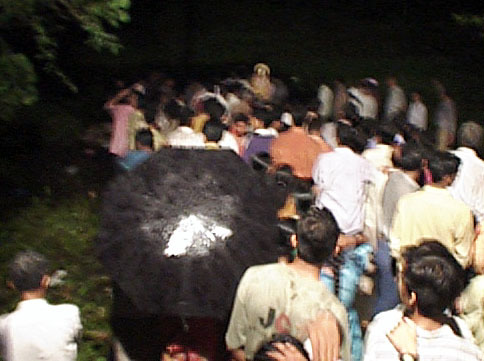 Effigy of Lord Ganesh arriving lakeside. 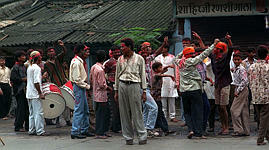 Ganapati Utsaav [more details/pictures] - Festival dedicated to Lord Ganesh, the son of Shiva and Paravati. 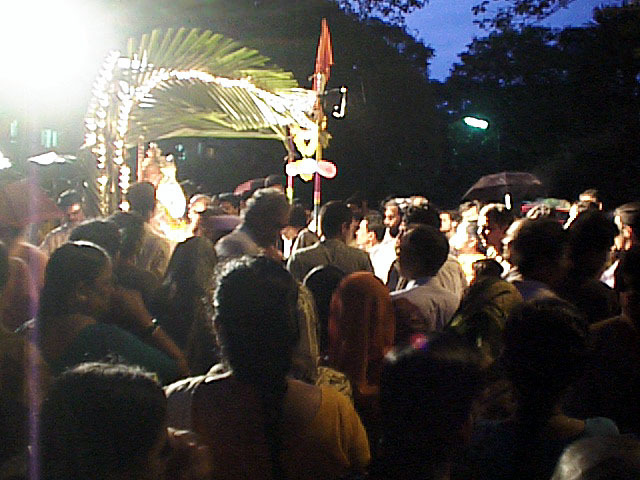 This festival is probably the longest of all, going on for ten days. 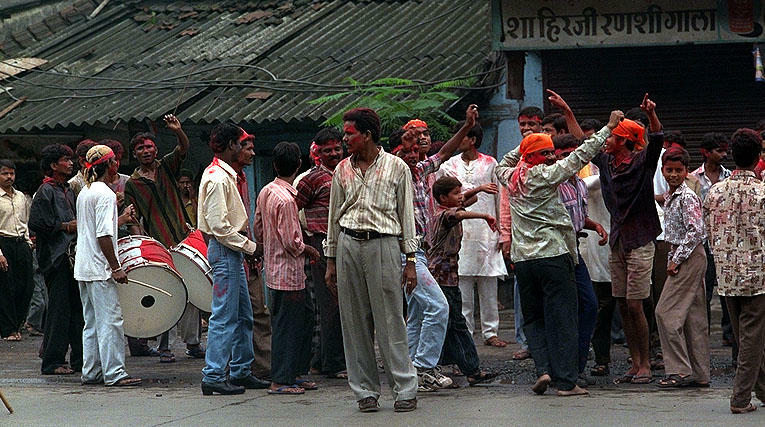 The Samajic Utsaav (public celebration) was started by Lokmanya TiLak as a rallying point during [the] freedom movement from the British Raj. 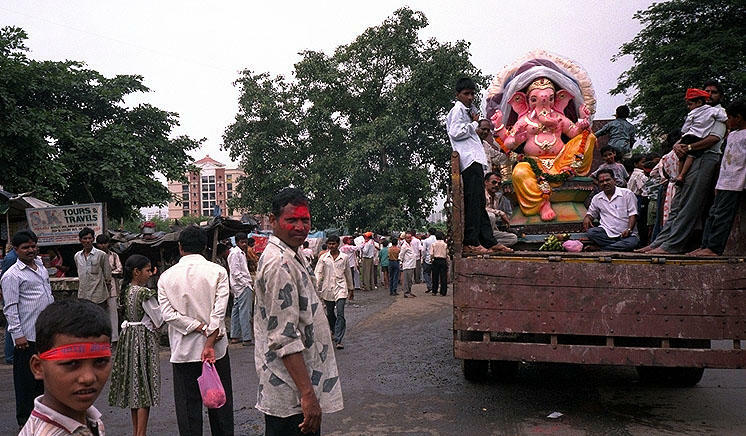 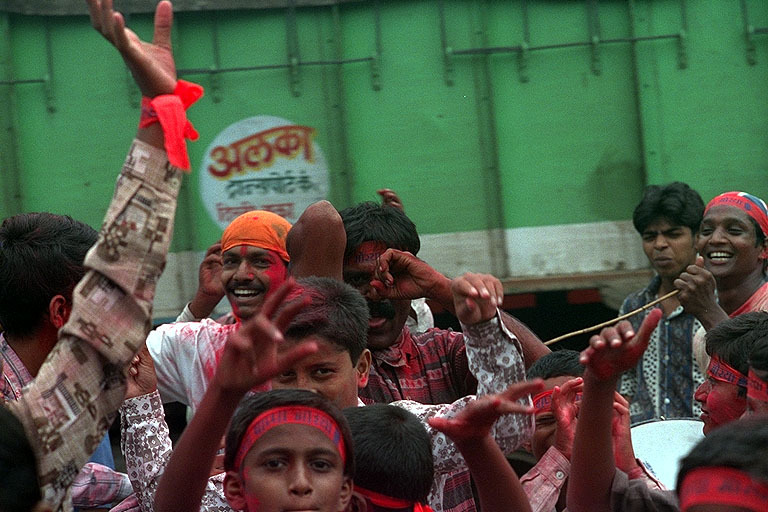 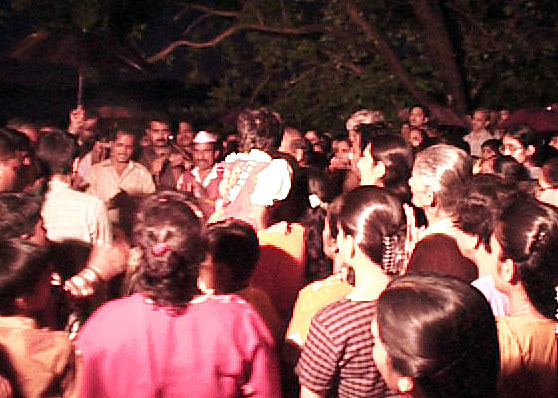 Even to this day, there are huge public displays of Ganesh idols with Aarthi (song of devotion to God) and loud music and dancing by the devotees. 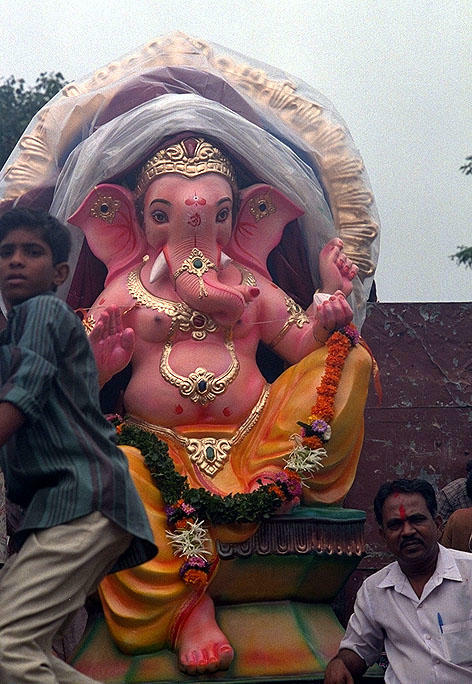 [...] People also install a Ganesh idol in their homes. 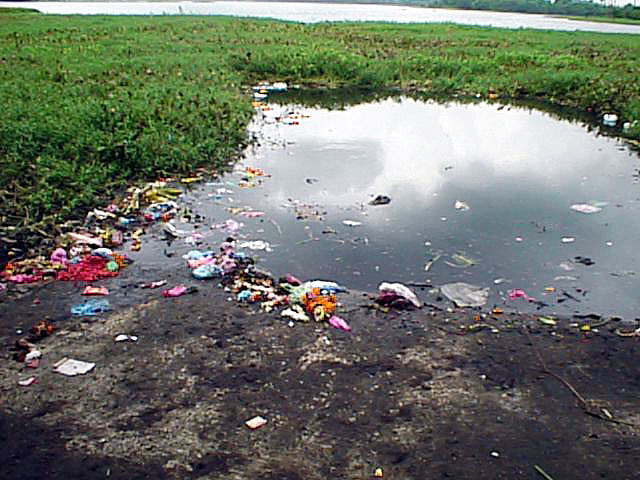 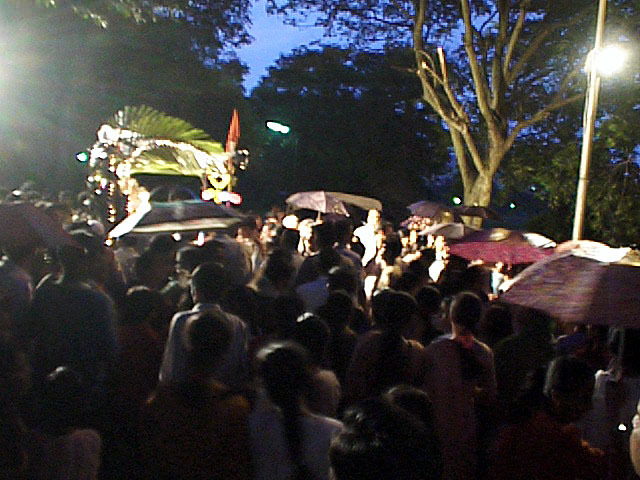 On the tenth day, huge processions carry images of the God to be disposed off into the water, hoping for them to return early next year. 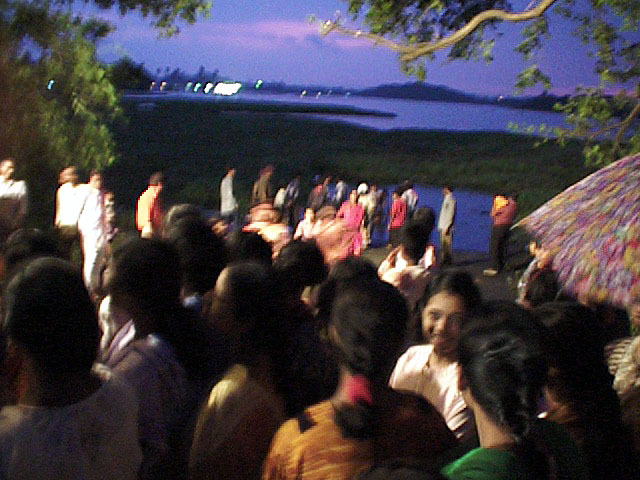 People waiting by the lake. 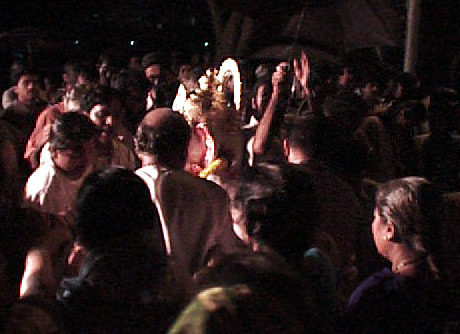 Idol carried by hand to the lake. 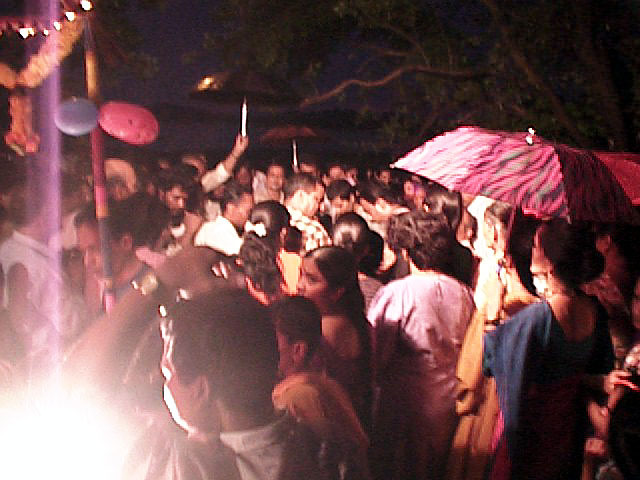 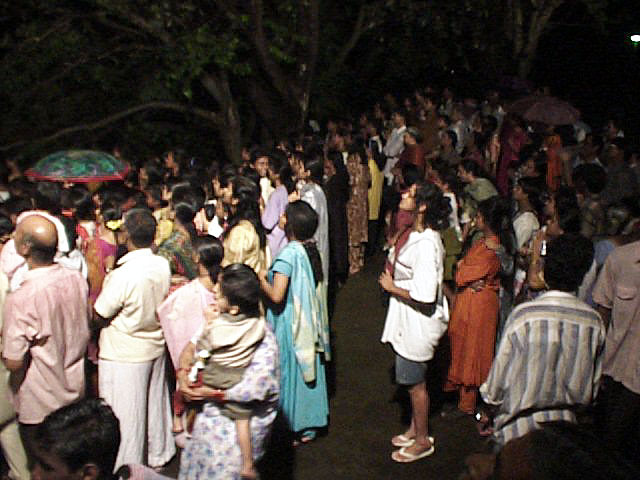 People watching the immersion of the effigy in the lake. 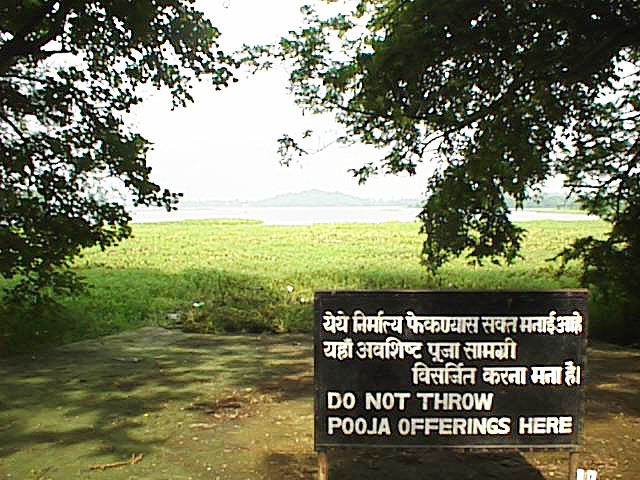 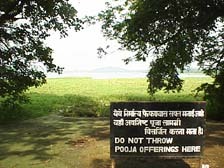 Warning at ramp; Lake Powai, the morning after.